If you own a dictionary that you bought more than five years ago, chances are under letter G, the word “Glamping” has yet to set down its roots in the jungle of dictionary-worthy English words. Born a buzzword, this lovechild of “glamour” and “camping” found favour with modern-day travellers. Once a species of outdoor sport, camping has reincarnated into a bohemian form of travel: Glamping. Last month I found myself in the heart of England, sniffing out the best of Glamping gems, while turning away from conventional luxury housed within hotels and inns. “Off the beaten path” is the leitmotif of Glamping. The Ninks, host of our first Glamping destination, forewarned us that GPS will not get us to our quaint, circa-1920s bohemian circus wagon. We were given very detailed instructions, and as we slowly drove through one hamlets after another. Like orienteers we scan for signs and marks described, before arriving at the Ninks’ beautiful farm property in the village of English Frankton. 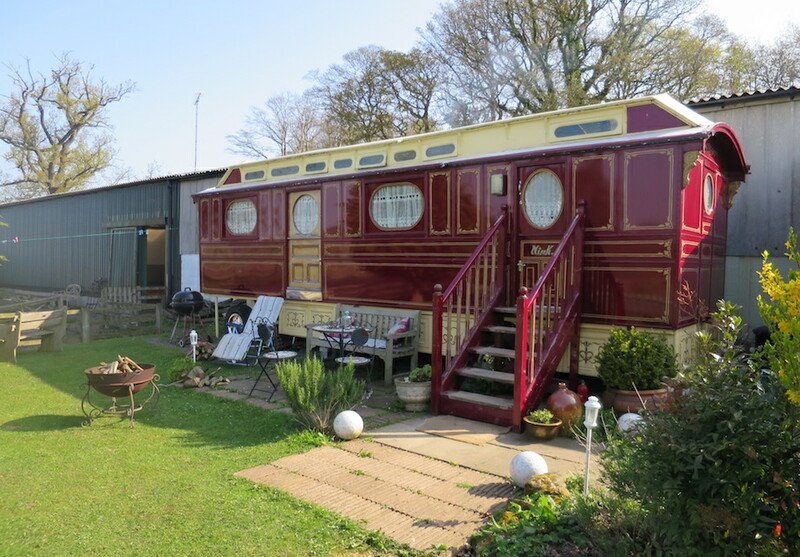 Right by the stable farm buildling erects the 1920s Nink’s wagon which has now retired from circus life and become a Glamping hotspot for curious travellers and nostalgic circus performers. Fascinating interior of Nink’s Wagon! It was well into twilight hours when we arrived. The receding glow of dusk outlined the undulating countryside. The very lovely Mrs. Nink has switched on the exterior festive lights, bohemian lamps and walled chandeliers within the wagon, and made a crackling fire in the metal fireplace for us. We spared no time to start exploring the wagon. 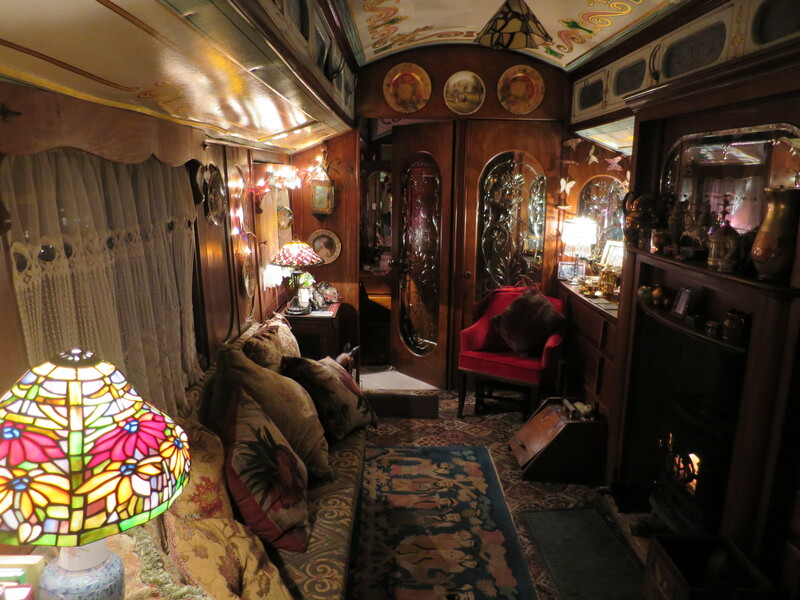 It was no large space but the dainty decor of almost a century worth of memories and stories of people whom have travelled and lived in this circus wagon that captivated our attention. Mrs. Nink herself was once a ringmaster herself, and Nink’s Wagon was her home years back. A modest selection of modern equipments were brought into the wagon to preserve the vintage look and feel: microwave, kettle, toaster and an outdoor fire pit BBQ stove for those whom crave having a grill or roasted marshmallows likewise. Waking up next morning is no easy feat. The cozy warm down blanket and fluffy mattresses promised amazing rest. Right behind Nink’s Wagon is the stable farm building where the Ninks kept their Appaloosa horses and Shetland ponies. Save some carrots and you are sure to receive a very warm welcome from these handsome friends whom definitely have a weakness for crunchy treats! 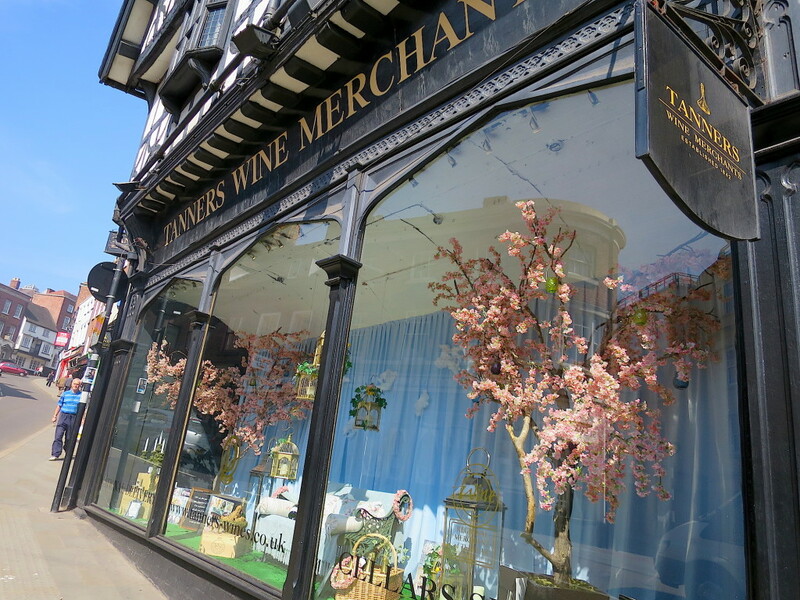 Tanner’s Wine Merchant flagship store on Wyle Cop, Shrewsbury, part of the structure date back to 1490s and is recognized Grade 2 heritage building by the UK government! Despite being unplottable by GPS, Glamping at Nink’s Wagon is far from putting ourselves in the middle of nowhere. Mrs. Nink helpfully drew up maps for us, highlighting Shrewsbury and Llangollen as the best two towns to visit, both just about an hour’s drive away from the wagon. Boasting well-preserved medieval abbeys and churches, Shrewsbury is a charming, quintessentially English, county town that appears to have found its way to balance the almost unstoppable influx of commercial brands with a wealth of independently operated small businesses. As wine lovers nothing is more exciting than visiting the flagship store of a century old wine merchant – Shrewsbury was the cradle of 143-year-old Tanner’s Wine Merchant. The Shrewsbury Market Hall is another hidden jewel where you can buy anything from local cheeses to cloche hats! 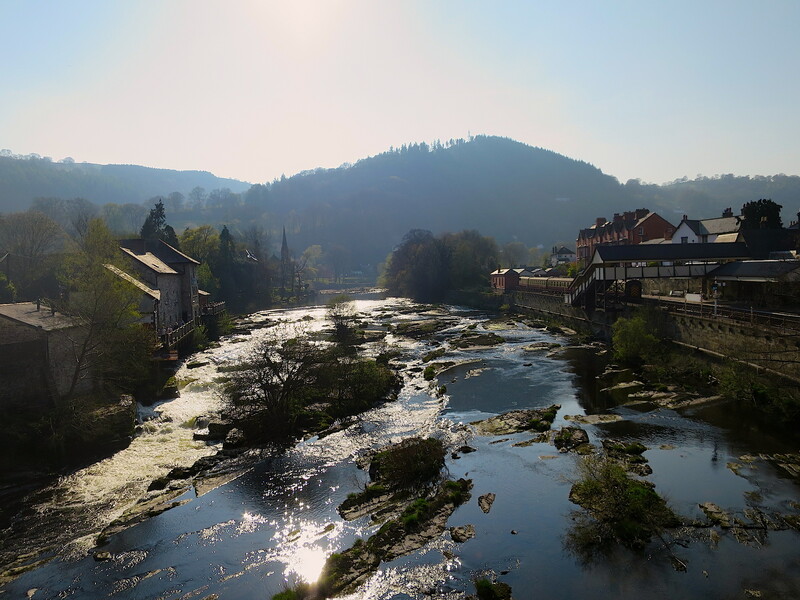 Quintessentially Welsh town Llangollen in a sun-drenched late afternoon! Take a steam train ride (to enjoy with lots of cream teas!) to and fro Llangollen and the town of Corwen – end of this month marks the 150th anniversary of this line! 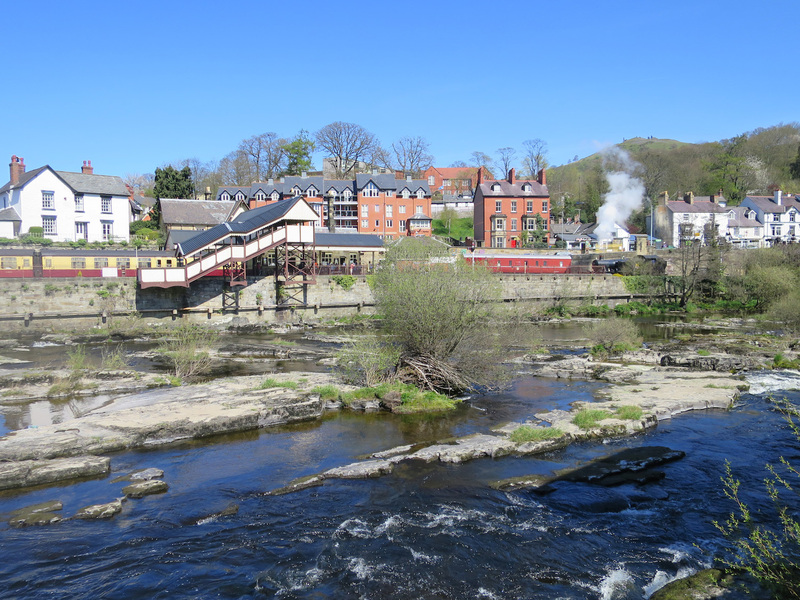 A trip to the enchanting Welsh town Llangollen ended our Nink’s Wagon experience on a high note. The Ninks welcomed us into their farmhouse for a cup of tea before we set off with Mr. Nink to Llangollen, the birthplace of Mrs. Nink. With just about 4000 residents, Llangollen sits on River Dee, which runs through the heart of the town, separating the bustling main street and the icon restaurant The Corn Mill from the steam train station and access to historical trails that bring you up to the medieval ruins of Castell Dinas Bran. 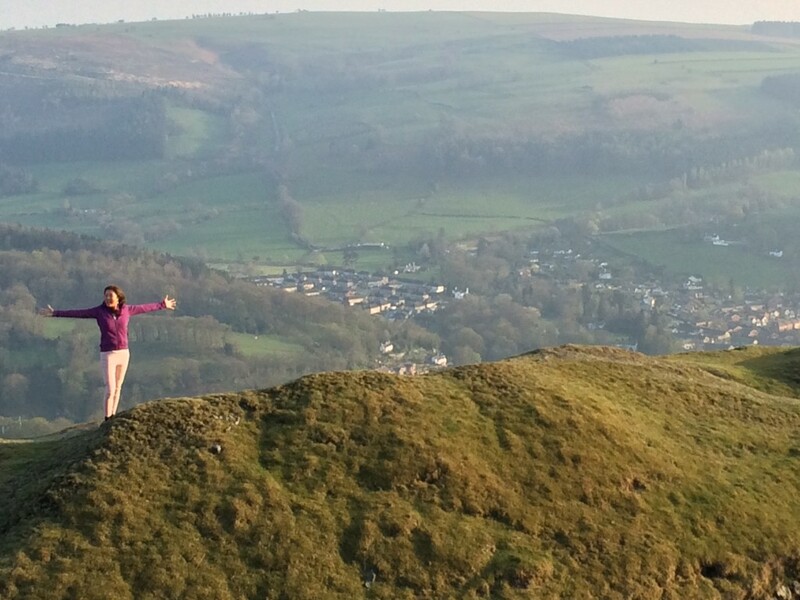 A quick 30-minute hike up to the hill to reach the ruins of Castell Dinas Bran where it perchs proudly over the town of Llangollen since 12th century! Before departure we stopped by Mr. Nink’s specialty furniture shop on the Main Street, and were greeted by the jovial company of his friendly neighbors. Not surprisingly, from them we discovered a handful landmarks that warrant a second visit to this small, yet filled with historical and natural wonders, town. “In five, or even ten years’ time, you will come back and find Llangollen exactly the same as it is now,” remarked the bespectacled jolly lady, whom run the cafe next door. I surely hope so, for the charm of Llangollen is timeless. 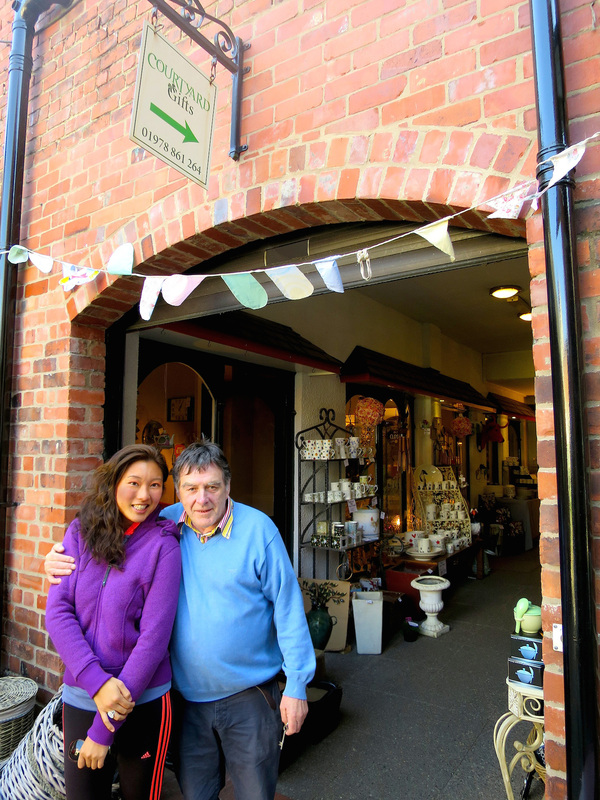 The charming Mr. Nink and his little shop in Llangollen. Shopkeeping is just a pastime when he is not with Mrs. Nink sipping tea in their beautiful home in English Frankton! Next up, we will travel deeper into Northern Wales, exploring the beautiful Llyx Peninsula, where I stumbled over the Lord of the Rings-inspired Glamping village. We stayed in the trademarked concept EyePod, a lovely stargazing-friendly pod; neighbour of two equally interesting structures: The Hobbits.